Ritalin is a prescription medication used to treat ADHD. It is an amphetamine, giving the user an increased sense of focus and alertness. The drug, although legal, is similar to cocaine. Ritalin is prescribed to over 6 million people in the United States. Unfortunately, it can also be addictive. But, there are drug treatment centers available for Ritalin abuse and addiction. Are there safer alternatives to Ritalin? There are four drug alternatives to Ritalin, and natural alternatives are also gaining steam. Concerta and Adderall have a high potential for abuse, but Vyvanse and Strattera do not. 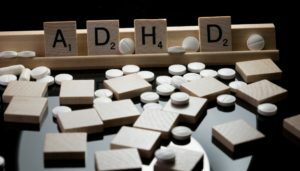 For natural remedies, changes in diet and adding omega 3 supplements have been found to help lessen the symptoms of ADHD. Also, alternative therapies such as early intervention programs and support groups can help children and adults manage the condition. When a person consumes a prescription drug off-label, they have a problem. Off-label refers to using a drug either more frequently than prescribed, adding things like alcohol to heighten the effects, or by consuming the drug in higher doses. If a person finds themselves craving the drug or getting into trouble because of their drug use, then they have an addiction problem and need treatment. What is the intake process like at a treatment facility? First, an intake counselor will work with the individual and possibly concerned family to assess the individual’s needs and the severity of the addiction. The type of substance and how long the person has been using, and also their life circumstances will determine what kind of treatment they will need. If someone has been using for a long time, or if they have been to treatment but have relapsed, they will probably need an inpatient treatment facility. If their addiction has been short-lived and they do not have any comorbid conditions, the individual may only need outpatient treatment. In severe cases, the patient may need to detox in an inpatient medical facility. Payment will also be discussed and processed at the initial intake. How much therapy will I get in drug rehab? That depends on the circumstances, the severity of the addiction, and if there are comorbid conditions. Up to half of all the people who enter a treatment facility for addiction are also suffering from a comorbid mental health condition. If this is the case, not only will the addiction need to be treated, but so will the mental health disorder. Sometimes, mental health issues can cause addiction. Without treating the underlying mental health causes for drug or alcohol abuse, a person is at very high risk of relapsing. But, ongoing treatment is necessary to avoid a relapse. Addiction is a lifelong disorder, and patients need to see a qualified therapist even after they complete rehabilitation at scheduled intervals to discuss and mitigate life stressors that may lead them back down the path to drug abuse. Ritalin® (and Concerta®) contain(s) the active ingredient, methylphenidate—a stimulant drug most commonly used to treat ADHD (Attention Deficit Hyperactivity Disorder). The potential for this drug’s abuse has been widely established. The withdrawal from this prescription medication may be particularly difficult. Our intake staff will guide you through the steps you’ll need to make to enter into our effective and totally individualized prescription rehab. Lately, college students have been ostensibly using the drug to enhance performance. However, an unintended consequence often following this practice is a severe dependence on Ritalin. Since doses much larger than a therapeutic level are common with abuse of this drug, our clinically supervised personnel—both at our Ritalin Detox and within our ongoing program—will offer the highest level of care you can find. Call us now to see how Ritalin addiction rehab at Windward Way can facilitate an end to the non-stop drama of abuse. 855-491-7694. Young men who have become addicted to Ritalin will find that we help reshape their life goals to strive after healthier activities with Windward Way’s rehab geared to address Ritalin addiction. Rather than constantly chasing after drugs, many of our program’s graduates find a new purpose, meaning, and direction with our addiction treatment program. If you (or a son, a husband, a boyfriend, or a young man you know) are suffering from a dependency to Ritalin that has spun out of control, reach out to Windward Way to begin your admissions process into our engaging and reassuring program. Help is available, right here at Windward Way. Let us craft a plan of action, built just for you: 855-491-7694.